Bringing home your new pet is exciting! You've spent so much time picking out the perfect addition to your home and your family, and now it's finally time to bring your new friend home with you. You've picked up all of the necessary supplies, food, dishes, and toys to help your pet feel more at home. But regardless of how many nice things you get, a new home is always an adjustment for an animal. Here are a few ways to help your new pet adjust to your home. Before ever going to pick up your new pet, get your home ready for him or her. There are several things you'll need for your new family member: collar/leash if you're getting a dog, litterbox if you're getting a cat, food, food/water bowls, toys, and maybe even a bed so your pet has its own designated space in the house. Set up the bed, determine where you'll be feeding your pet, and get any other area ready that your pet will be utilizing. 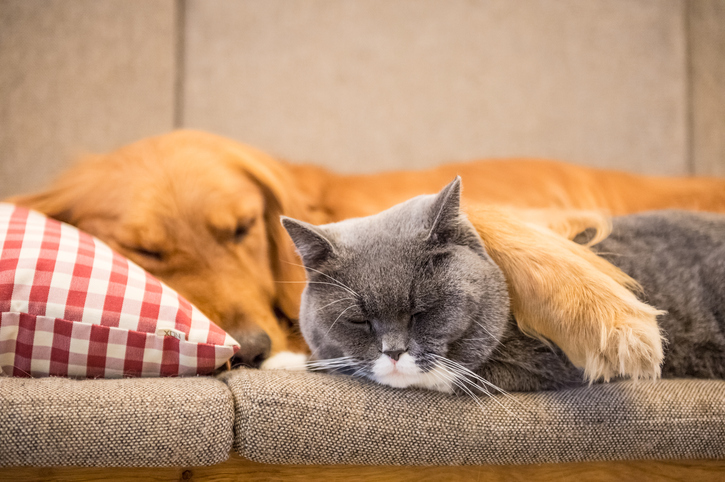 Make sure your home is ready so you're not scrambling to introduce your pet to a new environment at the same time you're getting your home set up. Of course you want your pet to feel just like another member of the family, but all family members must have some rules set in place. Are there any rooms your pet won't be allowed in? Any surfaces you don't want your pet to be on top of? Will you let your pet sleep in the bed with you or will you have it kenneled or staying in its own bedding area? Are you going to allow your pet to sit on the couch with you? These are all important things to decide before you bring your pet home so you can enforce the rules from day one. Bring your new pet in with you. If you're getting a dog, keep him on a leash as you introduce it to all of the new rooms in your home. If you have a cat, give her a bit more space as they can be jumpy and prefer to roam around on their own. Follow your new cat around as she explores her new surroundings. Then, show your pet where to eat, sleep, play, and go potty. If you're going to leave food and water out for your pet, show her where the bowls will be. If you have set breakfast and dinner times, call your pet into the feeding area when it's time to eat and show him or her the ropes of how mealtime is going to work. Allow your pet to check out its bed and toy area, and play with toys. Show your cat the litterbox, or show your dog how to let you know he needs to go potty outside. Plan to house train your new dog so there aren't any accidents. Follow these steps for a smooth arrival of your new pet. We hope you enjoy the company of your new pet!